Cheddar’s Scratch Kitchen, or just “Cheddar’s” as it is most commonly known, is a privately owned restaurant chain that has been going strong since 1979. Serving American fare in 160+ locations nationwide, Cheddar’s has consistently ranked as one of the best restaurant chains in the industry, receiving the top award from Zagat in 2012, as well as countless other awards in preceding and proceeding years. Whereas many chain restaurants shortened their names over time, including Domino’s Pizza, Cheddar’s actually lengthened theirs. It became “Cheddar’s Scratch Kitchen” in 2015 when they decided that they wanted to push the notion that everything they cook is from scratch, using fresh ingredients. 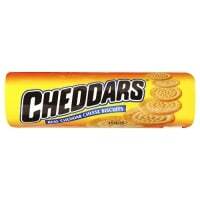 However, while this may be how future generations recognise the brand, to everyone else it will always be “Cheddar’s”. Cheddar’s was founded by Aubrey Good and Doug Rogers in 1979. They chose Arlington, Texas, as their location and they focused on fresh, cooked-from-scratch American fare. This attention to detail and emphasis on high quality food was what gave them the edge in a saturated marketplace. This was also what allowed them to turn a profit and what helped them to fund the founding of several more locations. Their numbers hit double digits in the 1990s, after which they experienced exponential growth. From 1995 to 2005, they opened a further 40 restaurants or so, reaching a total of 55 in 15 states. They continued to grow from here, passing the 100 mark and then reaching 160 by 2016. These days Cheddar’s is partly owned by both Oak Investment Partners, who also have a share in P.F. Chang’s, and Catteron Partners, who have connections to the Outback Steakhouse. Choose from a selection of burgers, everyone favorite American fare. The Classics: This is where many of their bigger and more iconic menu items are, including Grilled Catfish, Chicken Pot Pie and Hickory Smoked Baby Back Ribs. Soups & Salads: Get a Chicken Salad, a Homemade Baked Potato Soup and many other options. Appetizers: These smaller menu items are great to get your tastebuds going and include Loaded Potato Skins and Mozzarella Sticks, as well as some lighter options. Sides: You can order a plate of seasoned rice, vegetables, cole slaw and French fries, among other menu items. Steaks: This is where you will find their Baby Back Ribs, a menu item not unlike the one on the Chili’s menu. There are also Rib-Eye steaks and other steaks. Sandwiches & Burgers: From the Monte Cristo and the Philly Cheesesteak, to classics like the Cheeseburger and Cheddar’s originals like the Three-Cheese Hickory Burger. Kids Menu: Here you can find smaller and more child friendly alternatives, including a small plate of Chicken Tenders and a Junior Burger. Checkout the Cheddar’s Secret Menu to find some extra menu options not on the traditional menu. Some of the biggest secret menus on this site are from chains that serve American fare, from the McDonalds secret menu to the Buffalo Wild Wings secret menu. Cheddar’s is not as big as those two, but it does have a secret menu and it’s well worth a look if this is your chain of choice. The Cheddar’s secret menu contains a number of extras, from burgers and sandwich menu hacks, to all kinds of different sides. To see this for yourself, just visit our Cheddar’s secret menupage. This is updated regularly and we are constantly looking to add new hacks to it. They are just as famed for their Baby Back Ribs as Chili’s. Cheddar’s cooks all food from scratch, but it still manages to keep the prices down. All Cheddar’s menu prices are respectable and towards the lower end. You can generally get a meal for less than $10, a price that will also get you a handful of sides or a couple of smaller menu items. There are more expensive items on the menu, including a Full Rack of Baby Back Ribs for $13,99, and a choice of steaks for the same price, but overall, this is low-cost fare. You can pickup a sandwich for less than $7 and all of their sides are available for under $2. Their burgers are under $5 and on the whole you can generally feed the whole family for less than $40, with a few coins left over for a tip. You can see a full list of Cheddar’s Menu Prices on our relevant page. This is updated regularly and contains a full list of all menu items and all corresponding prices. All food, including this seafood pasta dish, is cooked from scratch at Cheddar’s. Classic American cuisine uses a lot of meat, cheese and fried foods. It’s not the healthiest, but there are plenty of lighter options on the Cheddar’s menu. You can order grilled chicken breasts on fresh salad, fresh fish dishes, bean dishes and more. In fact, while many fast food menus are filled with fatty and greasy sides, such as the monster 1,500+ calorie sides that you can find on the Five Guys menu, there are plenty of alternatives on the Cheddar’s menu. You can order a bowl of steamed vegetables, corn-on-the-cob, seasoned rice and other light and healthy alternatives. There are also plenty of options for vegetarians, vegans and those on a gluten-free diet. To learn more about this and other nutrition information, just read our Cheddar’s Nutrition Info page. To put your name forward for employment at one of their many locations, just click onto the website, send your details across and wait for them to get back in touch. There are always positions available for chefs, servers, managers and more. There are over 160 Cheddar’s locations spread across 23 states. Many of these can be found in their home of Texas, and they are also in all connecting states. In fact, they have steadily branched out from state to state, crossing borders and planting their flag. They go as far east as Ohio, as far north as Wisconsin, and as far west as Arizona. This brand is still growing and extending its reach, but there are currently no locations outside of the United States. Cheddar’s store hours may differ from location to location, but most of them stick to the following schedule (except for certain holidays).